Ready for someone to call their own! 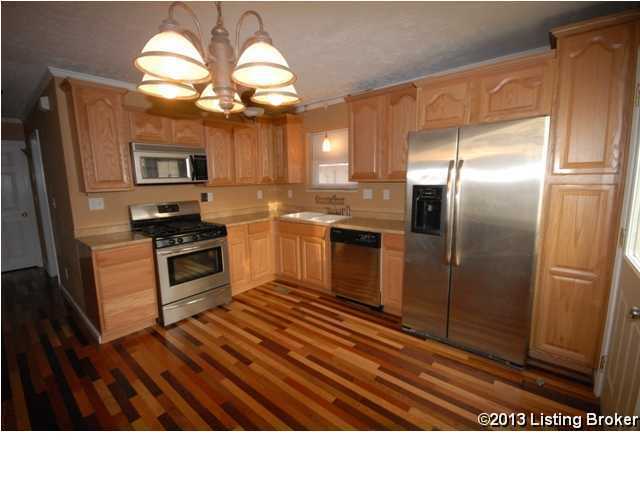 This house has a nice open floor plan with Hardwood and Crown Molding throughout the home. Eat in Kitchen has been recently remodeled and has nice stainless steel appliances that will stay. The first floor bathroom has also been remodeled with a beautiful vanity, light fixture and ceramic tile. Recent new vinyl and guttering has been added. Central Air/All HVAC replaced in 2003 and new hot water heater in 2007. Lots of space in the basement that can be used however you choose. The back yard is fenced, partially with privacy fence. Windsor Place is a subdivision within the city of Louisville, Kentucky. There are currently 0 Homes for Sale within Windsor Place, with asking prices ranging from $0 to $0. The average list price per square foot of the available inventory in Windsor Place is $0, which is the Louisville average of $157. The Average Sales price of all sold real estate in this subdivision for the past year is $140,891. Recent comparable homes have been selling for 96.66% of their asking price. Waterfront homes represent of the available Windsor Place inventory. The population of Louisville, according to the 2010 Census, is 597,337. The total number of households in the zip code of Windsor Place is 14,240, with an average household size for of 2.61 people. The total number of renter households within the zip code of 40272 is 3,311, which means that 76.75% of households in this zipcode are owner occupant households. 9812 Scarborough Ave, Louisville KY 40272 is a Home, with 4 bedrooms which is recently sold, it has 2,104 sqft, 52 X 101.58 sized lot, and 2 Car Garage,Detached parking. A comparable Other, has bedrooms and 0 baths, it was built in and is located at and for sale by its owner at $ 0. This home is located in the city of , in zip code , this County Other, it is in the Subdivision, and Pleasant View are nearby neighborhoods.